HOLLAND PARTNER GROUP/SIXTH AND BIXEL: One portion of Holland Partner Group’s $200 million City West project has already opened: The Mint, a 42-apartment redevelopment of a 1923 medical building, debuted in May, and is now 85% occupied, according to the developer. 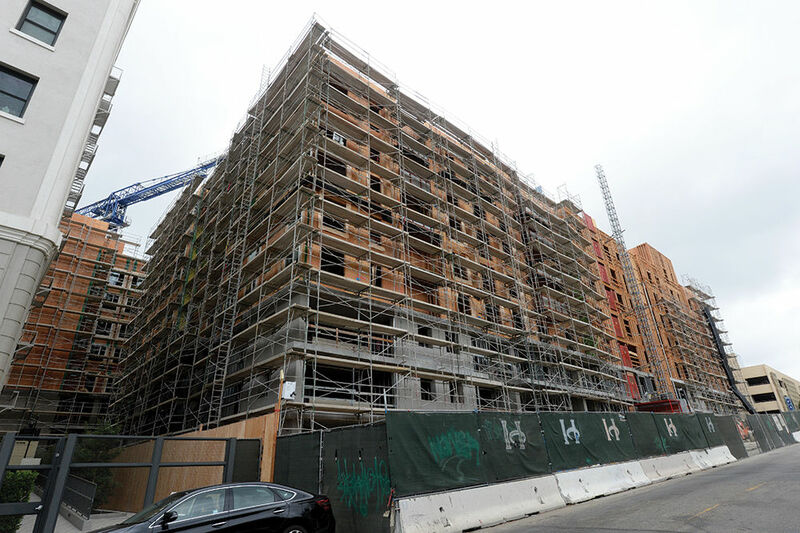 Crews are now building out the interior of a pair of seven-story buildings with a combined 606 apartments. A first phase of 295 units will begin leasing next May, with the remaining 311 apartments opening in mid-summer, according to Southern California division head Tom Warren. Unable to communicate with Instagram. Follow Us! Door Systems is the only company to provide code compliant integrated fire doors and fire protection smoke curtains that offer superior aesthetics, high performance and up front cost savings while bringing long term value to the customer. © 2019 Door Systems®. All Rights Reserved.